The COD is a coach or trainer in the field of Youth Fitness who exhibits core values similar to those of the IYCA. They are lifelong learners and advocates for the IYCA, they may be contributors (not essential), and they are IYCA certified (with the exception of contributors). Coaches of Distinction are making a difference at the IYCA, in the area of their expertise, and with the kids they work with. They may have a unique or innovative skill that they have applied to Youth Fitness. 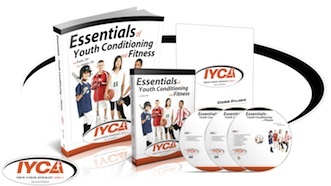 They are engaging on different IYCA channels and exemplify what it means to be a Youth Fitness Coach and Trainer. In order to be nominated, you must be an IYCA Insider Member. Nominated by their peers for going above and beyond and inspiring greatness in youth! The Breakaway vision is to help the local youth population become higher performing athletes on and off the field. ARM is for young kids whose parents are looking for somewhere for them to work out and Discovery/Exploration/Transformation Class is a positive and pressure free solution that can improve their athleticism and skill level while reaching fitness goals and socializing with their peers. I never want an athlete that has been under my care to walk away and reflect years later that ” I wish my coaches would have told me….” The young people that I coach need to have the opportunity to become the best version of themselves. Not a version of something that I want them to be or what another coach or parent wants/expects them to be. I seek to empower young people to treat each day as a gift and opportunity to take their life to another level, a place that’s in their head and heart, that means something to them. Dedicated to positively impact the lives of the people we have the opportunity to train. We want to educate youth athletes about healthy living and encourage a “Dream Big & Believe” mentality. Good Intentions, Inc. through our dba’s: Stretch-N-Grow (3-5 year olds) and ImpAct Youth Fitness (6-11 year olds) is changing lives of children through our game based physical education and fitness programming. In a time of increased childhood obesity and inactivity, we promote lifetime fitness by making fitness fun for children in child care centers and private schools. Our curriculum not only promotes lifetime fitness but also provides an educational component that teaches character, health, hygiene, nutrition and safety. Watch Jared Markiewicz talk about his passion for training and what the IYCA means to him. Watch Dave Schmitz talk about his passion for training and what the IYCA means to him. 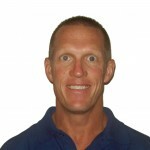 Dave Schmitz, PT, CSCS, PES has been writing, teaching and training how to implement resistance band training for rehabilitation, general conditioning and performance since 1996. Along with being a co-author of “Total Body Breakthroughs, which was and Amazon Best Seller, Dave is also the author and producer of numerous articles, E-books, DVDs all focused on how to improve the body’s ability to handle momentum, gravity and ground reaction forces using elastic resistance. 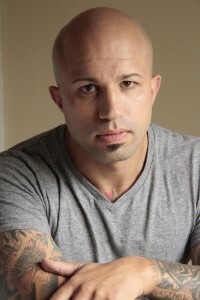 He is also the Co-owner of Resistance Band Training Systems, LLC and the creator of Resistancebandtraining.com where he has hosted a bi-weekly video blog, RBT Live, since 2008. Along with being a frequent national and international speaker, Dave also consults online with several high schools, universities private performance training business and is also on the board of experts for the International Youth and Conditioning Organization. On a local level, Dave is the owner of G’Town Boot Camps and G’Town Fast-n-Fit while functioning also as the Head Strength and Conditioning Coordinator for Germantown High School Athletics (Germantown, WI). 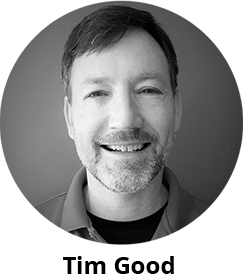 Dave is a 1986 Graduate of the University of Wisconsin-La Crosse where he earned his Bachelor’s of Science Degree in Physical Therapy with an emphasis in Orthopedics and Sports Medicine. Watch Dr. Haley Perlus talk about her passion for training and what the IYCA means to her. With a Ph.D. in Sport and Exercise Psychology, and numerous fitness and coaching certifications, Haley Perlus is an expert at empowering athletes of all types and health enthusiasts achieve peak results. An adjunct professor at the University of Colorado, international speaker, former Alpine Ski Racer, appointed Industry Leader for IHRSA.org, and author, Haley Perlus helps people reach their highest standard of performance. For more info and free chapters of Haley’s soon-to-be-released books, visit www.DrHaleyPerlus.com. Watch Jim Kielbaso talk about his passion for training and what the IYCA means to him. 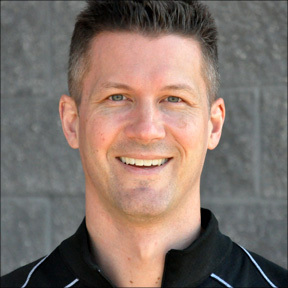 Jim Kielbaso MS, CSCS is a former college strength & conditioning coach and the current Director of the Total Performance Training Centers located in Michigan. He is the author of the book Ultimate Speed & Agility and co-author of the IYCA Certified Speed & Agility Specialist certification. He has produced multiple speed-related products and programs including Ultimate Speed Development, Complete Football Speed and Ultimate Speed Mechanics & Drills through the IYCA. Jim runs a successful NFL Combine Training program, has been hired by the University of Michigan to provide Combine Prep services and has consulted with several collegiate and professional sports programs. He has spoken at conferences around the country and his training methods & results have earned him accolades from many elite athletes, coaches and organizations. Watch Shawn Manning talk about his passion for training and what the IYCA means to him. 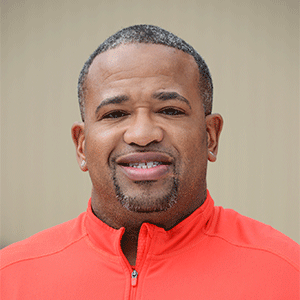 Shawn Manning is a coach at CORE Athletics serving the Greater Pittsburgh area. 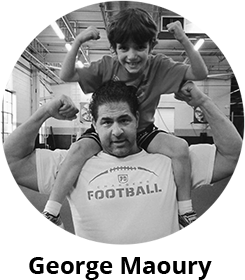 He coaches youth athletes, 8-18 years old, in baseball and performance training. Shawn previously worked at the University of Pittsburgh at Bradford as an Admissions Counselor, Assistant Baseball Coach, Adjunct Faculty and rogue strength and conditioning coach. He has coached players at the Division III NCAA level who have signed professional contracts and worked under Head Coach Bret Butler. Shawn is a Youth Fitness Specialist at CORE Athletics and is blessed to do what he loves to do each and every day. Joining the IYCA community has been an outstanding benefit for him as a coach and has helped CORE Athletics build programs to enhance the lives of youth athletes. Training youth athletes is a passion and an opportunity to the change the game of youth fitness in the Greater Pittsburgh area one burpee at a time. Shawn would like to thank the IYCA for their outstanding resources and the families dedicated to CORE Athletics. Get Youth Fitness Certified today and live your passion, just like Shawn Manning! Watch Miles Noland talk about his passion for training and what the IYCA means to him. 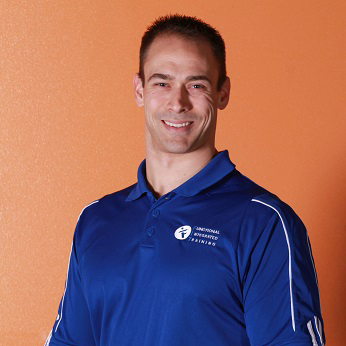 Miles Noland is the co-owner and director of Athletic Performance at Noland Fitness. Miles Noland has coached at the University of Kentucky, in high school, at Wabash Valley Junior College, Transylvania University, has been a scout for the Colorado Rockies, and has coached 35 players who have been drafted or signed professionally. Miles is the only Youth Fitness Specialist in the Central Kentucky area, and the system he uses has been developed specifically for youth. He also is a Certified Strength and Conditioning Specialist, a Precision Nutrition Coach, and has a Masters in Kinesiology/Health Promotion. Become a specialist like Miles and become a Youth Fitness Specialist Today! Watch Matt Travis talk about his passion for training and what the IYCA means to him. 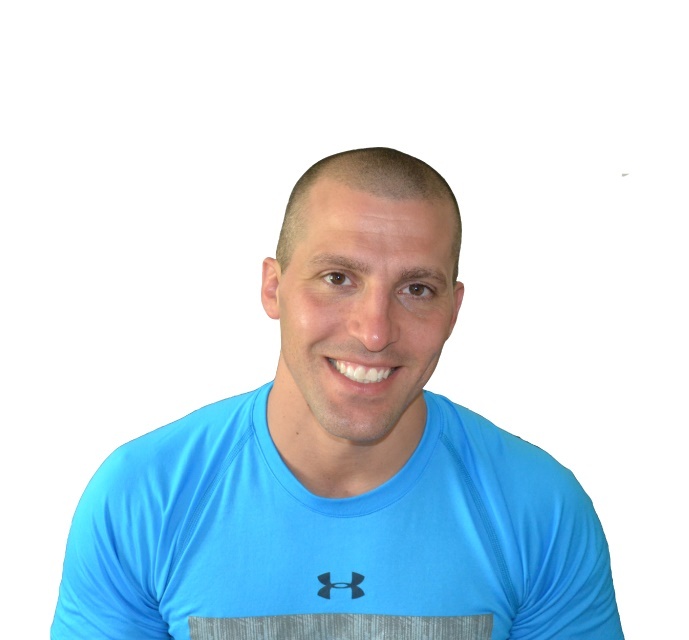 Matt Travis is the head coach and owner of Athletic Revolution Metro West in Southborough, MA and a K-3 Physical Education teacher at the Fales School in Westborough, MA. Matt discovered his passion for working with children during his Senior year of High School when he had the opportunity to intern as a K-3 Physical Educator. In 2001, Matt pursued a Bachelor’s of Science at Keene State College for Physical Education. Right out of college he earned the K-3 Physical Education Teacher position at his childhood elementary school. This dream job jumpstarted his mission of reaching the youth population. Over the next few years Matt coached his alumni High School football team, coordinated a local youth camp, and aided special needs students. Matt’s mission only grew stronger as he continued to attend events and seminars. 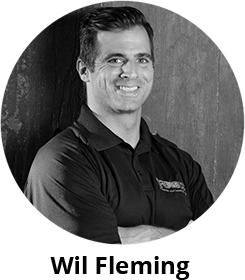 In 2007, he attended the Perform Better conference with the hope of learning the best strength and conditioning methods for young athletes. There he met a plethora of life changing coaches like Alwyn Cosgrove, Todd Durkin, Mike Boyle, and so many others. There was one presenter in particular that really resonated with Matt, Brian Grasso, IYCA founder. Matt was beyond excited to meet a person like Brian who had the same vision for youth fitness. Brian invited him to attend the upcoming IYCA conference in Kentucky and it was at this IYCA conference that Matt’s life changed forever. At the IYCA conference Matt met two coaches from his home state of MA, Dave Gleason and Dave Jack. Both of these coaches helped shape Matt’s vision of how he could make the biggest impact on youth athletic development in his local area and continue to mentor him to this day. Matt is always enrolling in higher education so he can provide the best youth fitness program in his area. 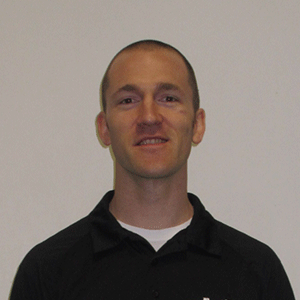 Matt achieved his Masters in Physical Education from Emporia State University, his Function Movement Screen level 1 certification, and both his Youth Fitness Specialist Level 1 and Youth Speed & Agility Specialist Level 1 certifications from the IYCA. In 2010, in a Police Station basement gymnasium, Matt started Athletic Revolution Metro West. It wasn’t the most glamorous space, but it allowed Matt to grow the program, continue his education, and search for a facility to call home. In 2013 he opened the doors to his first facility, and in only one year, tripled his athlete member base. Watch Shane Fitzgibbon talk about his passion for training and what the IYCA means to him. 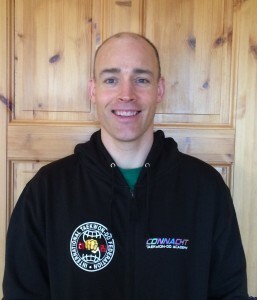 Shane Fitzgibbon is a Strength and Conditioning coach, based in Galway, Ireland. He is a professional martial arts instructor and, as a retired athlete from this field, is a 6-time World Champion in Taekwon-do & Kickboxing. Representing Ireland in European, Intercontinental, and World Championships, Shane has competed all over the World, e.g. Ghana, South Korea, Nigeria, Canada, Croatia, Germany, etc… amassing an impressive twenty World-medal tally. The 6th degree black belt in Taekwon-do has coached numerous Irish, British, European and World champions to success. Holder of a B.Sc. 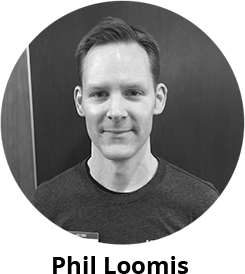 from National University of Ireland, Galway, Shane has always had a passion for exercise and qualified as a gym instructor with ITEC in 2001. In the years that followed, Shane has been busy coaching his martial arts students as well teams and individuals from other sports. As well as obtaining National Certificate in Strength & Conditioning, Shane is Functional Movement Screening(FMS) certified and a member of the prestigious Register of Exercise Professionals Ireland (REPS Ireland). Shane is a also a member, in good standing, of the Irish Sports Coaches Institute (ISCI). Shane came across the IYCA two years ago while researching educational sources to further his knowledge in the area of youth coaching. 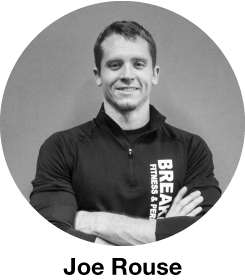 He is currently a Youth Fitness Specialist Level 3, Speed and Agility Specialist, Kettlebell Instructor, Olympic Lift Instructor, Youth Nutrition Specialist, Resistance Band Instructor, and High School S&C Coach, as certified by the IYCA. Not one to be satisfied with his current level of knowledge, Shane has enjoyed attending seminars and learning directly from two key IYCA contributors, Mike Robertson and Wil Fleming, as well as Mike Boyle, and others. Watch Josh Burba talk about his passion for training and what the IYCA means to him. Coach Josh Burba grew up in Marshfield, MA. He attended Marshfield High School, where he participated in indoor and outdoor track and field and played football. Throughout his high school career, Josh was a two-time track and field captain for both indoor and outdoor track and field; during that time, he helped lead the team to two consecutive divisional championships. He was an all-scholastic athlete and ran at States, All-States, New England’s and Nationals. Josh attended Keene State College in 2009, where he continued to run for the college’s track and field team. He also worked at the college’s gym, where he was a personal trainer for college students and athletes. Josh received his degree in Health Science/Exercise Science from Keene State in 2013. After graduating, Josh found an opportunity to work at Athletic Revolution South Shore under Head Coach/Owner Dave Gleason in December of 2013. With this opportunity, Josh has been able to pursue a career in fitness and fulfill his passion to assist youth athletes, teach healthy habits, and help anyone achieve and surpass their fitness goals. Watch Joshua Ortegon talk about his passion for training and what the IYCA means to him. 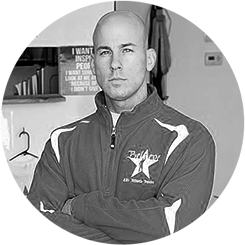 As an IYCA-certified High School Strength and Conditioning Specialist, Joshua has helped establish Athlete’s Arena as the premier high-performance center in South Carolina since 2005. Joshua has worked with a wide range of athletes from youth to professionals specializing in the areas of injury prevention, return to play, and performance enhancement. 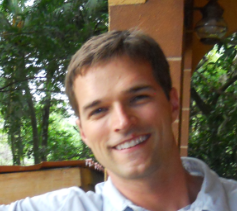 As an invited speaker and writer, Joshua has covered topics from Long-Term Athletic Development, pre-exercise screening, program design, and appropriate exercise progression and technique. 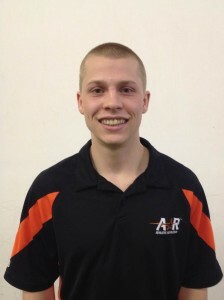 Joshua also works as a High School Strength and Conditioning coach and as a consultant to high school and sports clubs. Watch Paul “Theo” Theodore talk about his passion for training and what the IYCA means to him. Coach Paul Theo (IYCA YFS 1 & 2, YSAS, YAAS, YHSSCC) is the owner of FMU Fitness, a Christian-based youth fitness and adult training company in Cleveland, Oh. An ex-division one college wrestler and now fitness coach, motivational speaker, and author, he works with hundreds of kids and adults each week through is group training programs and community events. His reach extends far beyond his gym walls as he runs multiple school obstacle races and local charity events throughout the year. He resides with his beautiful wife Amber, and 4yr old son Giovanni and 10 month old Alana. Theo was voted Cleveland’s Best Trainer, he has been featured on Men’s Health Top Trainer Challenge, and he ran an activprayer event called Pull-ups for Zoe that raised $39,000 for Cystic Fibrosis through a world-record setting pull-up attempt. Watch Corey Taylor talk about his passion for training and what the IYCA means to him. Corey Taylor (BA, USAW, TPI Level2, TPI JR Level2, YSAS) is a nationally recognized performance coach, motivator, personal trainer, speaker, and founder of Corey Taylor Sports Performance in Louisville, Kentucky. CTSP offers the most comprehensive performance enhancement training in the region; including movement training, injury prevention, linear and lateral speed development, foot speed and agility, explosive power development, proper strength training techniques, sport specific conditioning, nutritional programs and recovery strategies. Corey Taylor is a graduate of Georgetown College where he earned his bachelors degree in Communication and Pre-law. While a member of the football program, Georgetown was the 1999 NAIA National Runner-up, won three conference championships and ended his career 10th all-time single season rushing in program history. After Georgetown, Corey went on to enjoy a 6 year professional football career playing in NFL Europe and the Arena Football League. Corey discovered his passion for sport performance while rehabbing a serious knee injury in Salt Lake City at The Orthopedic Specialty Hospital (TOSH). During that time he was granted the opportunity to work at The Institute for Sports Science and Medicine (ISSM) as a performance coach. It was there where he acquired his extensive insight and knowledge while under the direction of some of the countries leading exercise physiologists and biomechanists; gaining vast experience training all levels of athletes from amateur to the most elite, including Olympic and professional athletes. After returning to football, he continued his education while working at numerous sport performance facilities around the nation during the off-season.